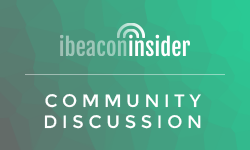 Apple’s big iPhone 6 announcement is looming, and it has us wondering what might be in store for iBeacon with the release of Apple’s newest devices. Rumors are swirling that Apple will be integrating NFC (near field communication) technology in the iPhone 6, which would strengthen its push into the mobile payments space. While some might see NFC as a competitor to iBeacon, the technology is really quite different and has different applications. In other words, we envision a future in which iBeacon and NFC not only coexist, but actually complement one another. NFC technology lets devices communicate with one another using a touchless, short-distance connection, whereas iBeacon uses Bluetooth Low Energy and has a much larger communication range. NFC is an “active” technology in that a consumer has to proactively bring his or her device to within close proximity of another NFC-enabled device. This can be handy with applications like mobile payments. iBeacon, on the other hand, is a “passive” technology in that it works without any action taken by a consumer. 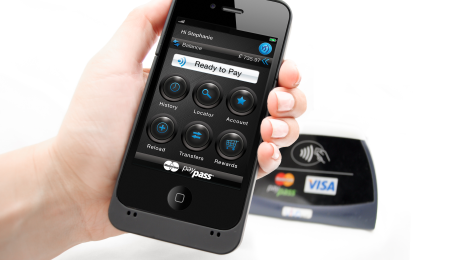 Our guess is that NFC will play a large role in Apple’s shot at mobile payments. Together with TouchID, and Apple’s hidden asset, millions of Credit Cards on file through iTunes, Apple seems to quietly have all the components needed to execute on mobile payments in a big way.